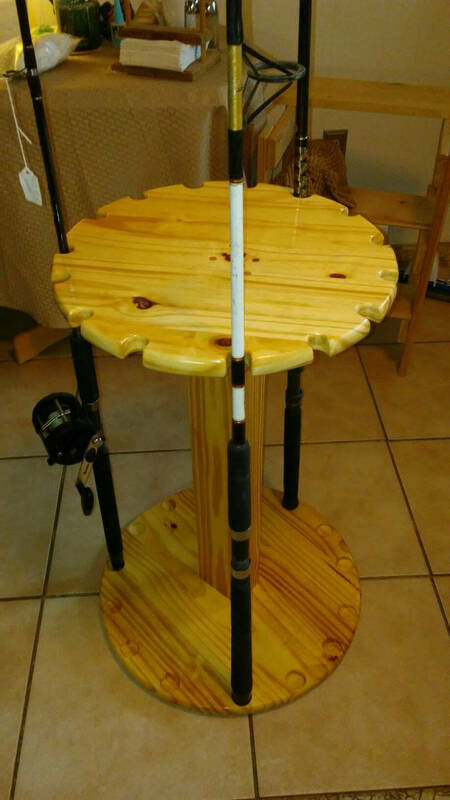 This beautiful hand-crafted Fishing Rod Rack holds 16 Rods - and will accommodate both inshore and offshore gear. 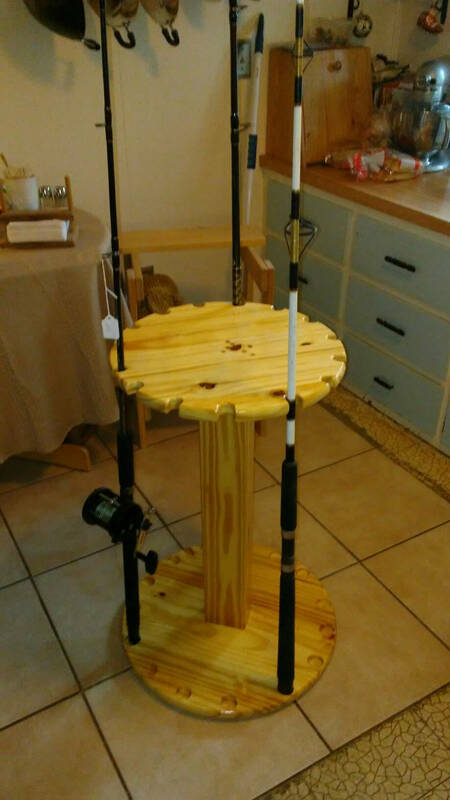 The bottom of the rack is a Lazy Susan so access to your rods is easy. Dimensions are:. 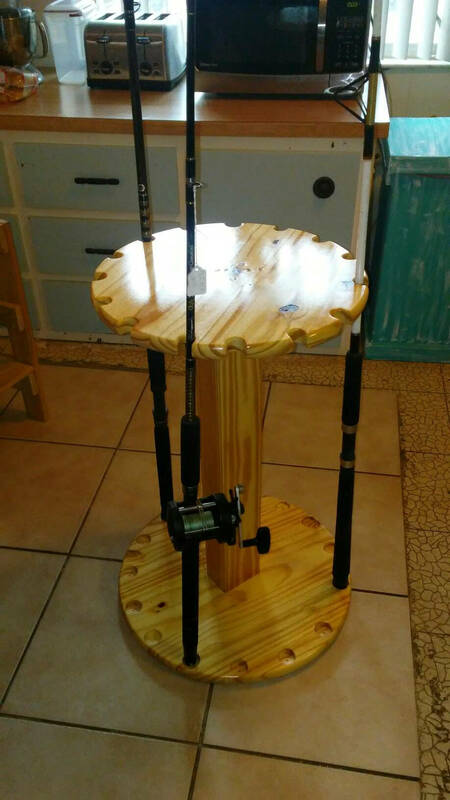 20" Wide base, 18" Wide diameter on the top, and 25" High. It is sturdily constructed from select Pine, and finished with a high gloss. We offer customization - number of rods, stain, paint and size. Call us with any questions. 941-830-2338. What a great Father's day gift!